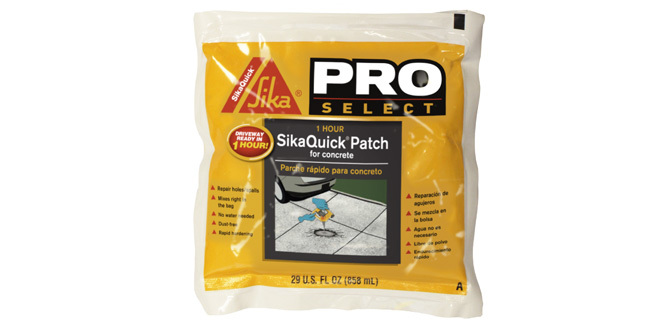 SikaQuick® Patch is an easy-to-use, mix-in-the-bag, fast-curing patch for repairing holes/spalls in concrete. It sets in 10 to 20 minutes and is open to traffic in one hour. This two-part, pre-proportioned cementitous mix can be used to repair concrete basement floors, driveways, patios and more.